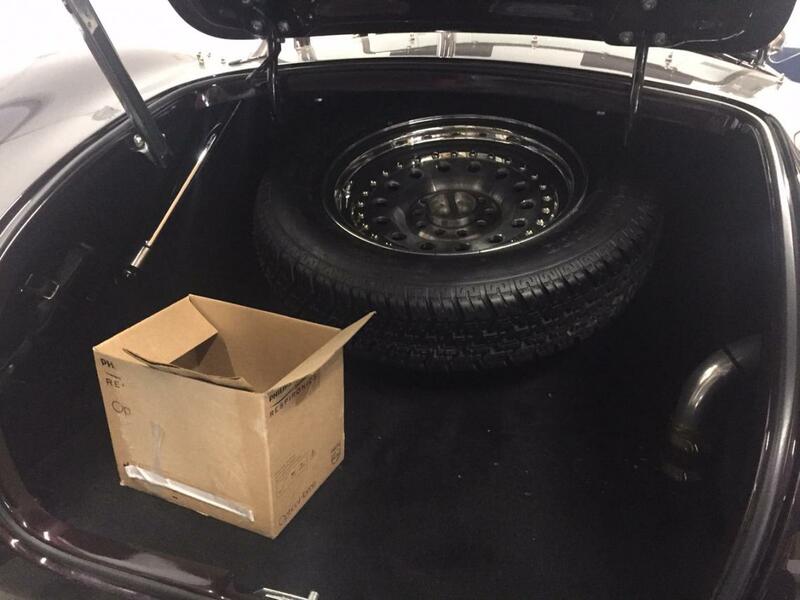 To those of you out there that carry a full size spare tire with you in your 427 ERA, how did you configure holding down the spare in the trunk? It might make a difference to know if you have the standard ERA trunk configuration or if you have the configuration that mimics the originals. 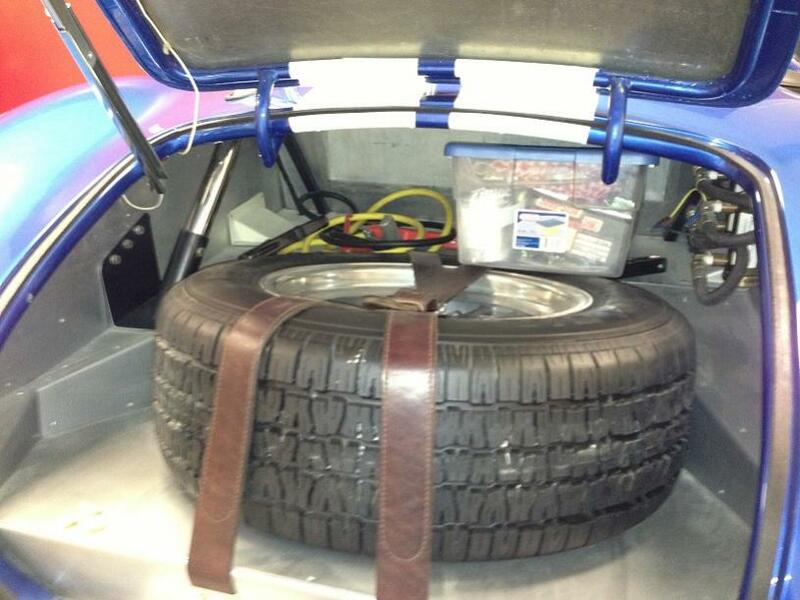 Although in either anything that resembles a full size spare would be a tight fit. In my Slabside there is a bolt, large washer and wing nut securing my spare Dunlop wire wheel and tire. 427 cars are different than 289 cars. Street cars have them set inside the trunk box, some add rubber matt to keep it steady. I didn't know that two different trunk configurations were available. I told Peter I wanted a street car and let him take if from there. I was going to load a photo of my trunk but I keep getting error messages when I try to up load the file. I looked through your build album photos and my trunk is the same as yours. Last edited by Whodeeny; 02-12-2019 at 02:26 PM..
OK - after I answered and saw some other posts I began trying to remember what you were having built exactly as the FIA and maybe slabside do have a different trunk assembly. 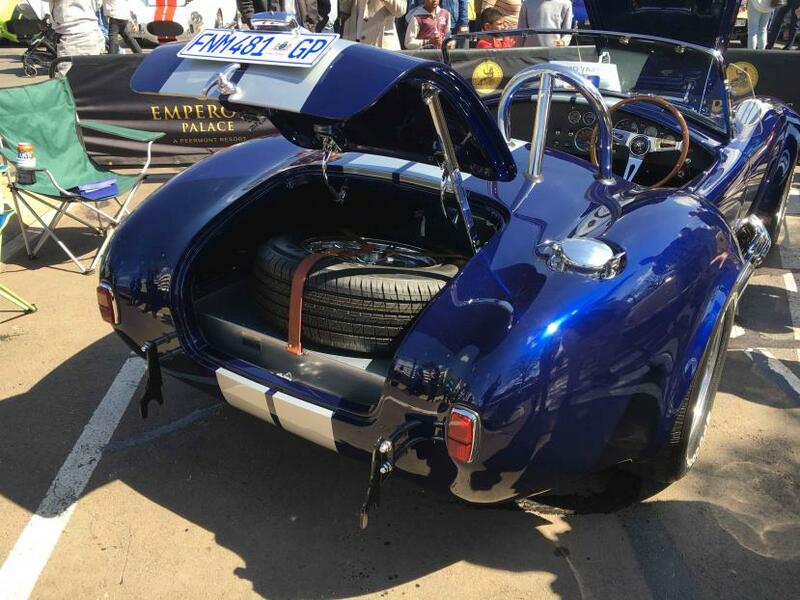 And I believe ERA has built a few 427 street cars with a replica of the tire tray trunk configuration similar to the original cars - an extra cost option I suspect. I don't have a spare in mine so I'm afraid I can't be of much help. I keep a tool kit with a can of puncture sealer in it. I'm not sure much more than a smaller 75 series radial would fit in there very well. A min-spare is another option. Hopefully someone with some experience with this will chime in. Mine has a center mount with a threaded aluminum knob. Not sure if this is ERA issue from the 90's or not. This is the standard ERA trunk. What size tire is your spare? It looks like you have room even with the spare. I am thinking I will have to remove my gas tank, drill a hole through the trunk floor then configure a bit of all thread with lock nuts and fender washers and try to find a large wing nut/fender washer to hold the wheel down. The tire is a 165 R15. The wheel is probably 4.5-5" wide. The combo is very light...well under 20lbs in my estimation. If you are agreeable to a space saver size spare, one will fit in the ERA standard trunk in the lower space. You could use straps, or even just lay it in there. It's small enough to still allow you to actually use your trunk, unlike a full size spare. 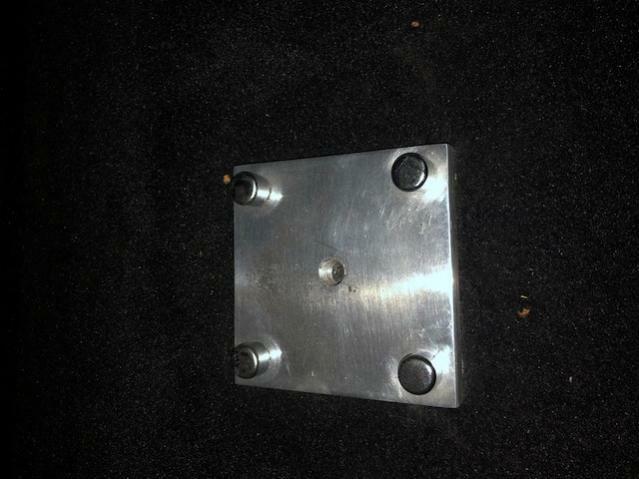 The floor of the 427 ERA trunk is usually at a level just below the trunk latch. If you think you need a spare tire, you will also have to secure a jack and a hammer. 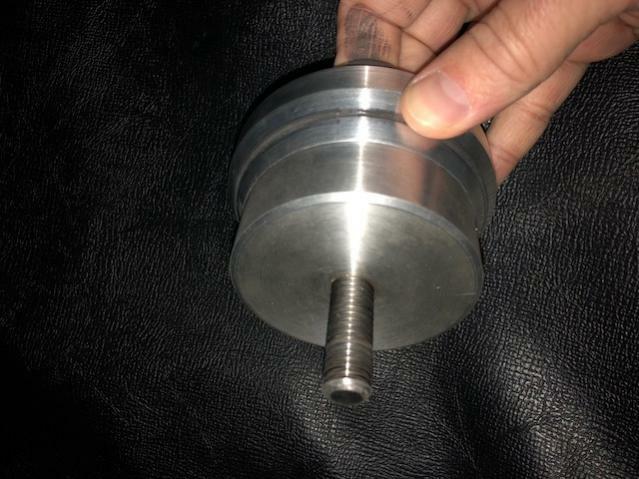 If you are using 6 PIN wheels I have a spare that came out of an ERA 427 that I would sell. The photo below shows the spare I have, but this is an FIA pictured, not a 427. As stated before, it fits perfectly inside the 427 trunk. It's currently painted with plastidip and can easily be peeled off. Last edited by 66gtk; 02-14-2019 at 07:46 AM.. This is pretty slick. Note: If you get the optional rear battery you will not have the room to install like this as there will be shelf behind the bulkhead for the battery. A space saver style like I pictured earlier WILL fit between the shelf and the trunk latch. Just barely enough to keep it from moving around.